As a matter of fact, in 1959, Omega launched CK 2998 model. Of course, since then it becomes one of the most popular vintage Speedmasters in the world. Thus, nowadays, OMEGA, using the same classic design as inspiration, launched a new timepiece limited edition of 2,998 models. In detail, the watch stainless steel case features a lightly sand-blasted silvery dial combined with a black minute track and also a varnished red chronograph seconds hand. Furthermore, the blackened indexes, as well as the blackened hours and minutes hands, comes coated in Super-LumiNova. Also, all three black subdials include sand-blasted rhodium-plated hands. Notably at this watch is the black ceramic bezel which includes a white enamel pulsometer scale, while the watch comes with a black micro-perforated leather strap and white rubber interior. Remarkable also for this watch remains the driver-style black leather strap which is micro-perforated with a white rubber interior. Also, here we present the latest timepiece from this collection: New Omega Speedmaster CK 2998 Limited Edition. Equally important for this Limited Edition Watch of 2,998 units remains its movement – the famous OMEGA Calibre 1861. Yet. 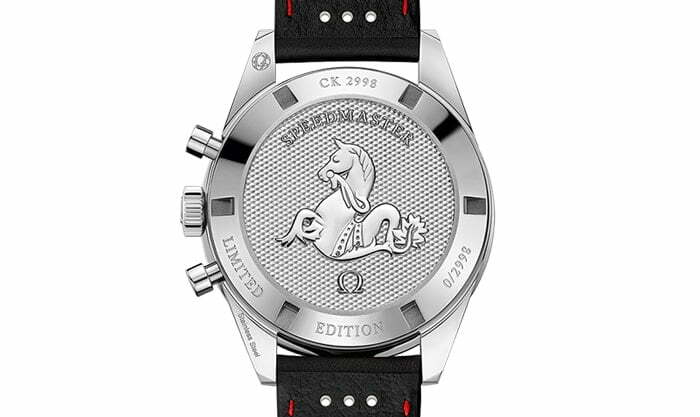 its case back contains the Limited Edition number of the watch along with the original Seahorse medallion. Large red central seconds hands counter. 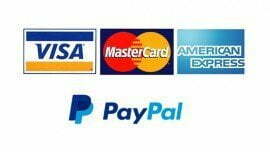 30 minute sub-dial counter located at 3 o’clock position. 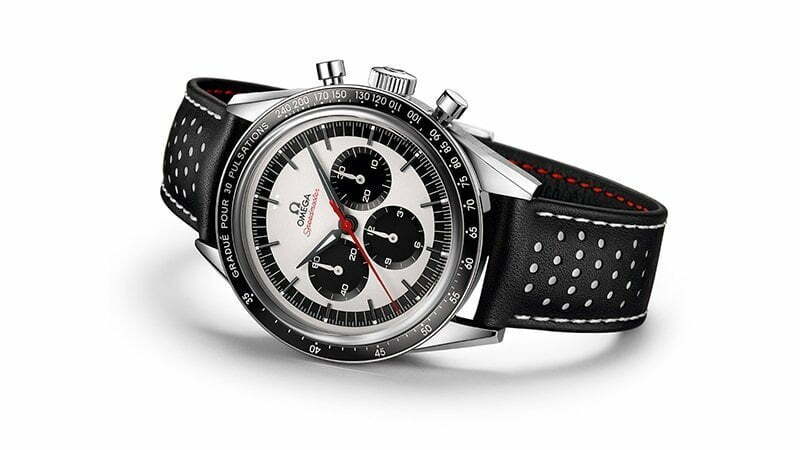 Here you can find more details about this watch: The New Omega Speedmaster CK 2998 Limited Edition. 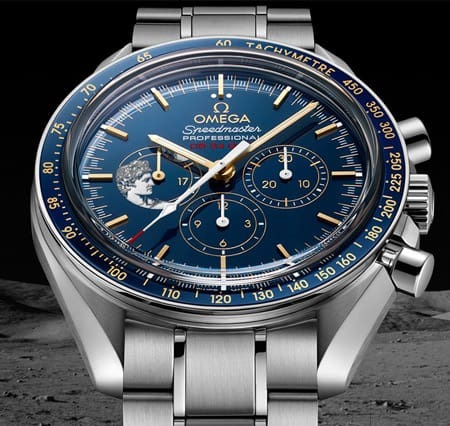 Also, the OMEGA Speedmaster Moonwatch “Apollo XVII” comes limited to only 272 pieces. But, this watch presents a limited edition of only 72 pieces. In fact, it commemorates the 45th anniversary of the final moon landing of Appolo XVII mission, in 1972. Nevertheless, for this version, the 42 mm 18K Yellow Gold case features a polished blue ceramic bezel which presents a tachymeter scale in OMEGA Ceragold™. Likewise, the watch possesses also a polished blue ceramic dial with 18K Yellow Gold indexes and hour-minute “Moon” hands coated in Super-LumiNova. In like manner, the sub-dial hands are made also from 18K Yellow Gold, but the Central Chronograph hand comes gold-plated with a Red tip. Correspondingly, the time of the final step made on the moon – 05:34 GMT – comes printed also in Red. 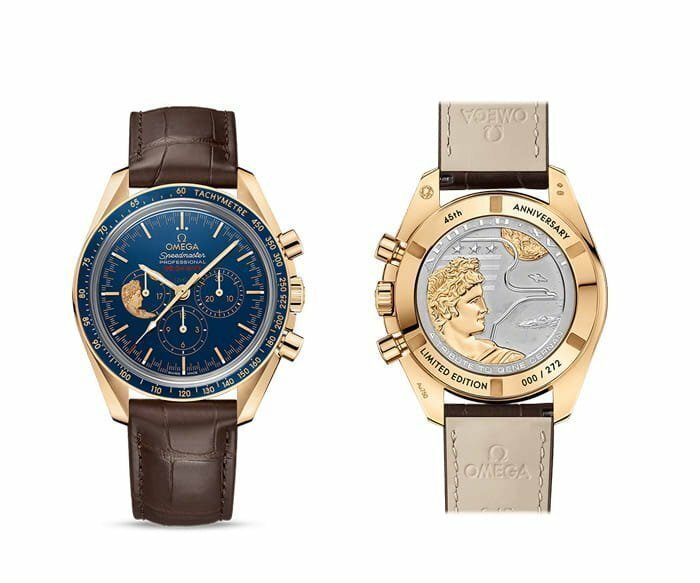 Additionally, the sub-dial located at 9 o’clock distinguish itself by a Gold representation of the Ancient Apollo God, coupled with the Moon picture and also the number 17. Accordingly, this watch possesses under its hood the iconic OMEGA caliber 1861. In the same fashion, the watch case-back comes engraved with “45th ANNIVERSARY”, “Limited Edition” and also it’s a unique number. In fact, the case-back comes also mounted with a central 18K White Gold Apollo XVII medallion with an embossed eagle, “APOLLO XVII” and also “a tribute to Gene Cernan”. Also, the watch comes with Brown Leather strap with an 18K Yellow Gold Clasp. 18K Yellow Gold Index Hour Markers filled with Super-LumiNova. 18K Yellow Gold Hour and Minute Hands coated in Super-LumiNova. 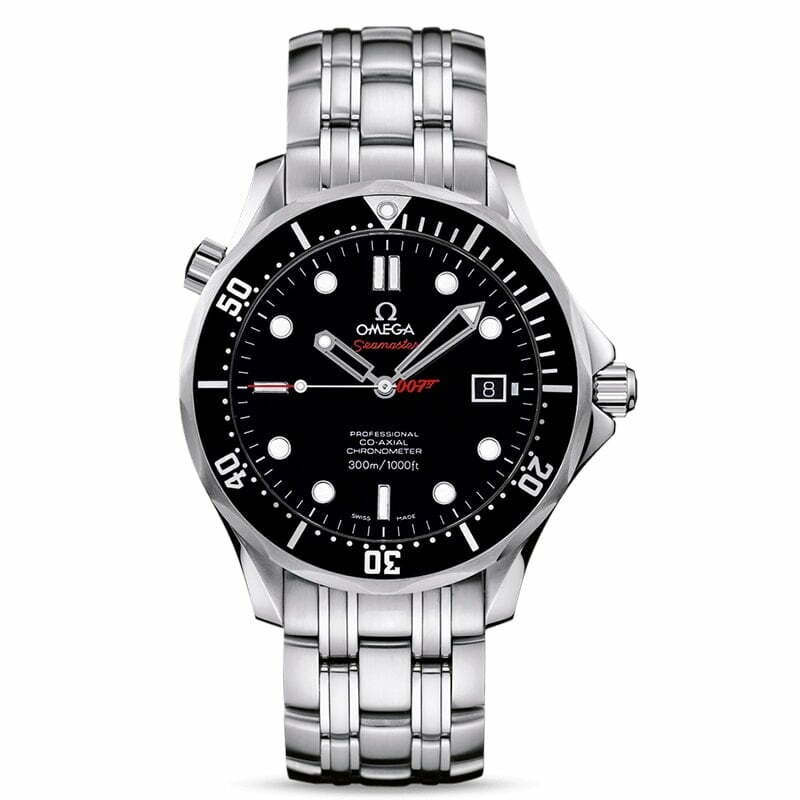 Our next choice is OMEGA SEAMASTER DIVER 300M 41MM JAMES BOND. 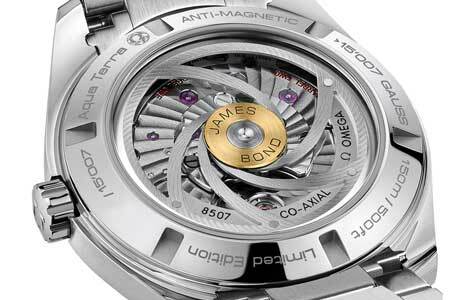 Nevertheless, Omega Watches association with James Bond movies dates since 1995. 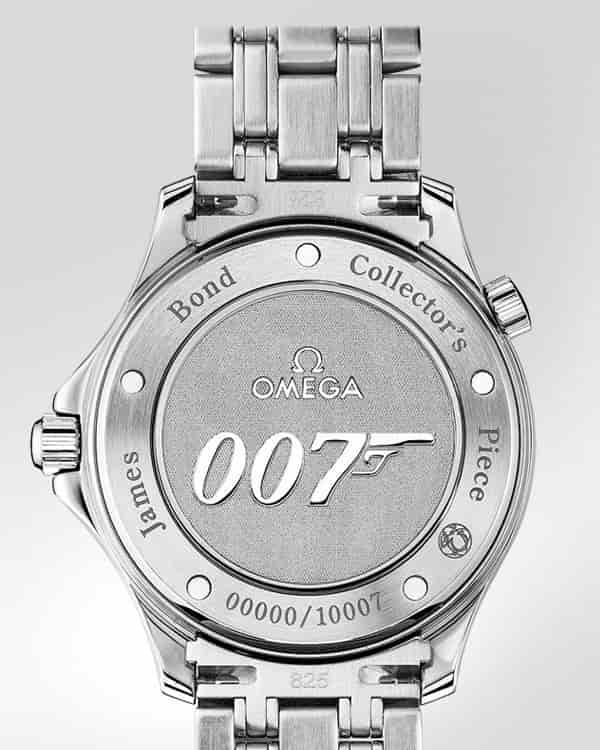 In fact, one of the main reasons for the switch to Omega Diver 300 M for the Bond franchise was a British Lady – Lindy Hemming – responsible for costumes and wardrobe for the new movies. At that time, she thought that the Seamaster looked the part of a rogue special operative who also needed the ability to dress up. Of course, she also recognized the history of Omega Seamaster in the British military (notably the Special Boat Service, synonymous with the character of Bond) which furthered her decision. 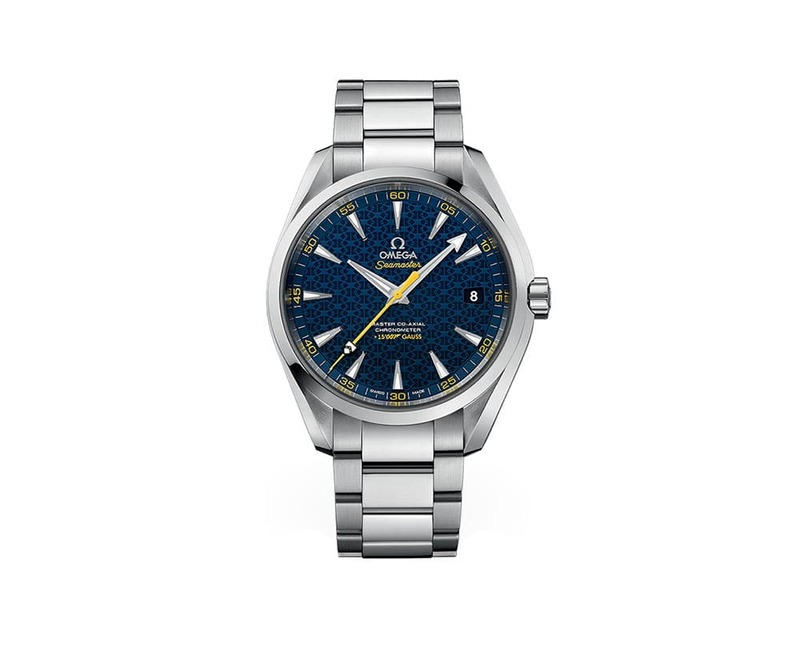 In fact, together with this model, OMEGA created a limited edition Seamaster Aqua Terra 150M. Although, with its blue dial coupled with its 41.5mm stainless steel case, this watch features the Bond family coat of arms in a repeatedly interlocked pattern. 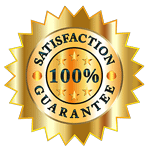 Of course, the symbol comes placed near the tip of the second hand. In like manner, its clear sapphire crystal caseback is cut and shaped to resemble the iconic James Bond gun barrel through which the oscillating weight of its visible movement. 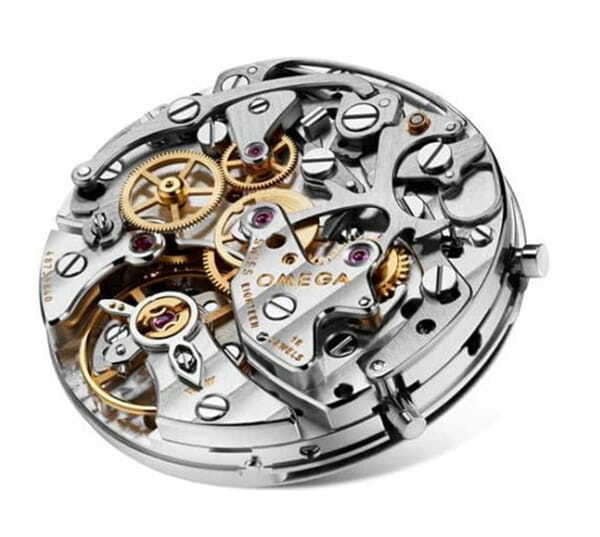 In this case, Omega released only 15,007 of these timepieces, each of it possesing its individual number etched on the case back. Each watch comes with an additional blue fabric/nylon fabric strap with yellow stitching & stainless steel deployment buckle. Comes with A Specially designed box. For more information about this watch follow this link: OMEGA SEAMASTER AQUA TERRA James Bond Spectre Limited Edition 231.10.42.21.03.004. 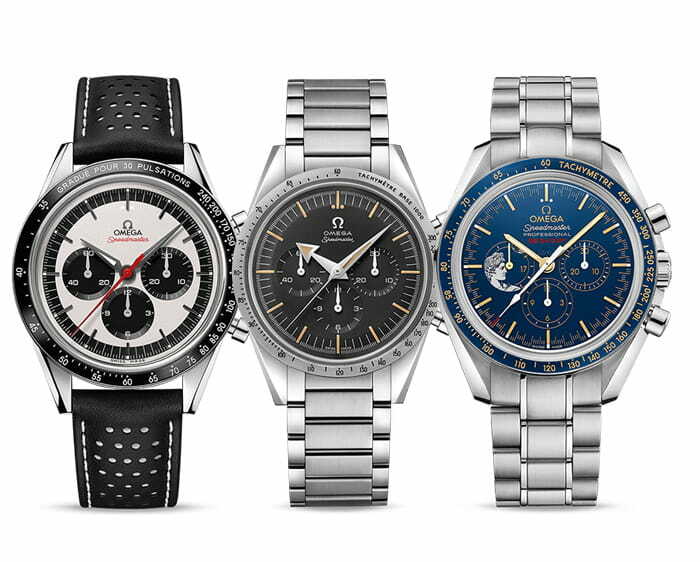 Nevertheless, the reputation that Omega gained for its precision watches over the years since 1848, early in the 20th century led the company to enter the world of sports measurement. Thus, In 1932, the National Olympic Committee in Los Angeles decided for the first time to entrust single watch manufacture – Omega – to organize and perform the entire Olympic timekeeping. 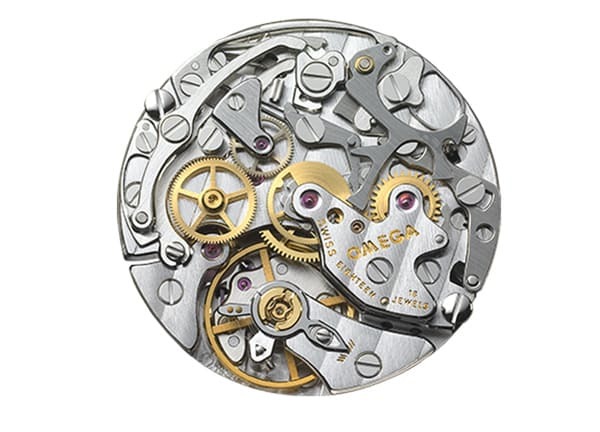 Since then, Omega has been awarded this privilege 21 times, a record among all watch manufacturers. 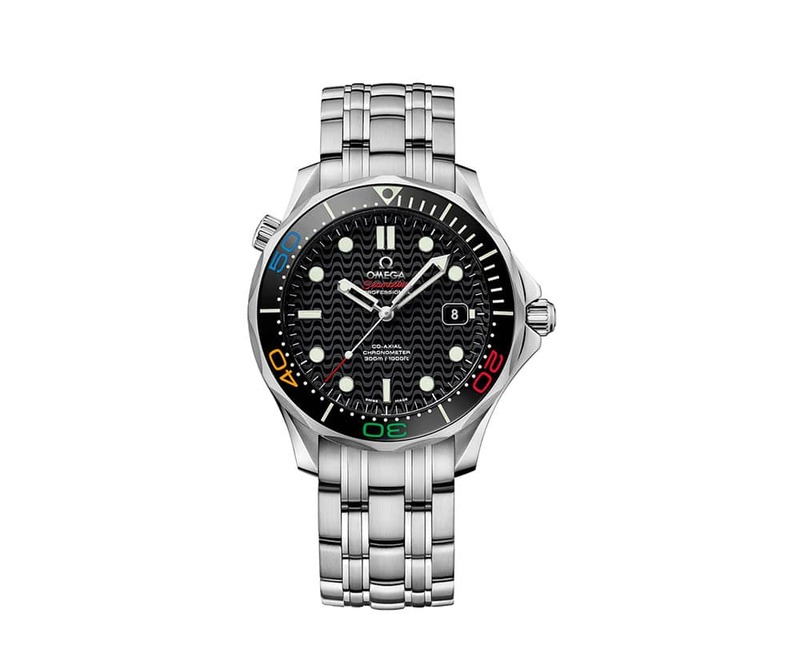 In fact, this unique OMEGA Seamaster Diver 300M beautifully celebrates the brand’s role as the Official Timekeeper of the Rio 2016 Olympic Games. Thus, on its black dial, you’ll find a transferred wave pattern inspired by the sidewalks of Copacabana beach. Although, the polished black ceramic bezel ring includes also a diving scale filled with white Super-LumiNova and numerals filled with red, blue, yellow and green lacquer, all representing the colors of the Olympic rings. As usual with the Seamaster Diver 300M, there is a date window located at 3 o’clock, a helium escape valve located at 10 oçlock and also a polished facetted skeleton hour-minute hands. 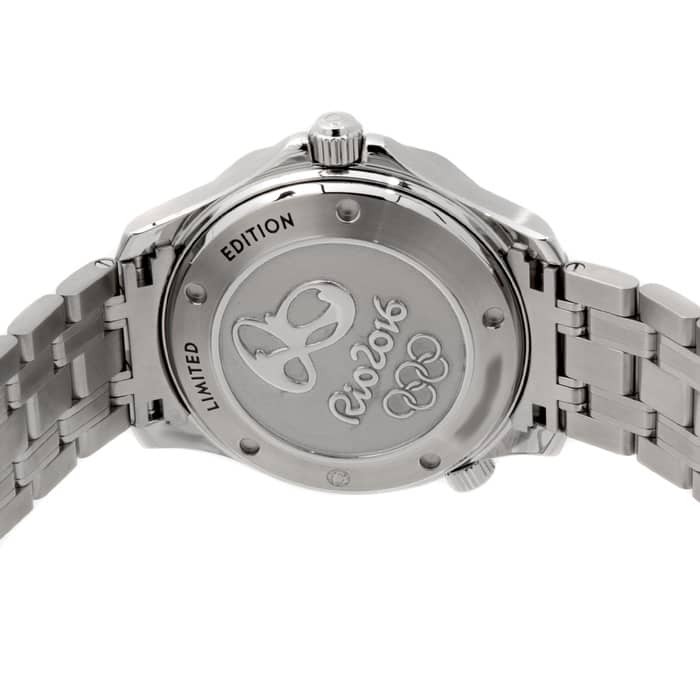 Moreover, on the reverse side of the 41 mm stainless steel case, there comes emprinted a “Rio 2016” Olympic Games logo as well as an engraved Limited Edition number. The model is powered by the Co-Axial calibre 2500. 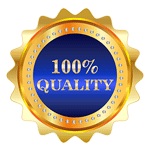 Also, you will find more details about the Co-Axial Movement at the bottom of this post. Also, in this video, you will find a better visual explanation of the Co-Axial Movement features.